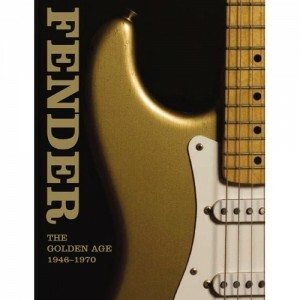 A friend of a friend has a new book about to be published about Fender’s golden period, 1946-1970. Leo Fender’s guitars have arguably had the greatest influence on modern music than any other make of guitar. Over 250 guitars in every model, style and finish are lovingly photographed and detailed, from the greatest to the rarest – Strats, Teles and the infamous Marauder. This title includes hundreds of never-before-seen images from recently unearthed archives and specially commissioned shoots around the world. Working with a worldwide network of collectors each model has been photographed specially for the book and alongside these exceptionally rare guitars are reproductions of Fender ephemera – the largest collection anyone will have ever seen. Tracing the history and influence of the company with a level of detail no other book can rival. These vintage guitars are among the most loved and collectible instruments in the world. Martin Kelly is the joint MD of highly acclaimed British independent record label Heavenly Recordings home of the Magic Numbers, Doves and Cherry Ghost. Paul Kelly is an award winning film maker (director of Finisterre and This Is Tomorrow) and designer. He is taking all the photographs in this book.Â He lives in London. Terry Foster is one of the world’s leading authorities and collectors of Fender guitars. He lives in America. Time for a little shameless self-promotion. We have set up our own store within Amazon, for all the guitar related stuff we can think of. The thinking behind it is that we hope to create a starting point for anybody searching for books about guitar collecting , tab books and sheet music, CDs and DVDs by relevent and maybe hard to find guitarists, such as Steve Vai , Joe Satriani , and Michael Landau . We will be adding to the shop very regularly, but you can also use it as a starting point to search within Amazon for anything else. We aren’t trying to hide the fact that we also earn a commission on anything that gets bought through the shop links, so by earning a little Â cash this way it allows us to keep running the website and keep the rest of our advertising as low key as possible. I hope our readers can appreciate this point, we will never engage in spam or “in your face” promotional techniques. We hope you like the shop, and please feel free to give us any suggestions on how it could be improved. Guitar Aficionado magazine and GuitarAficionado.com from Future U.S., the publishers of Guitar World, Â is a new upscale menâ€™s, niche lifestyle publication for music enthusiasts who collect, play and invest in new and vintage guitars. According toÂ Guitar Aficionado, readers know that guitars are among some of the best-performing, tangible asset investments available today. Traditionally, the value of collectible guitars has increased exponentially over the last 10 to 20 years. You may have never heard of a Danelectro guitar. But Jimmy Page and Eric Clapton certainly have. The unorthodox instruments â€” known for their unique design and prized for their clear, bell-like tone â€” belong in the arsenal of every rock guitarist from Aerosmith to ZZ Top. 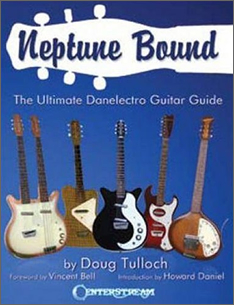 And with the publication of “Neptune Bound,” Doug Tulloch has established himself as the world’s foremost expert on the classic instrument, a passion that has put him in the company of some of rock’s greatest guitarists. The Danelectro was the creation of Nathan Daniel and was produced in America from 1954 to 1969. Danelectros are recognized for their inexpensive but durable construction. Today the American versions begin selling at $300 and can go up to as much as $5,000 if they are celebrity-owned. For the last 10 years, they have been made in Korea. “The Danelectro is a no-frills instrument,” Tulloch says. “They’re light and comfortable, which makes it a user-friendly guitar. They were sold out of the Sears catalog which gave young musicians the opportunity to start out with something that didn’t mean spending a lot of money. Over the years they began to get more rare and expensive. Danelectros are constructed of Masonite around a pine frame with a poplar neck. One of the guitar’s more notable features is pickups that were originally set in lipstick tube casings. And while most modern guitarists will first reach for Fenders or Gibsons, the performance that can be derived from a Danelectro has made it a studio favorite for many players through the years, including Page and Clapton. In 1991, Tulloch opened City Guitar, an Acushnet Avenue business that dealt in used and vintage guitars, amplifiers and accessories. He was able to build a collection of Danelectros that eventually grew to 150 guitars. His interest in the instrument also allowed him to provide them for rockers such as Joe Perry and Brad Whitford of Aerosmith, Gregg Allman, Dean DeLeo of Stone Temple Pilots and Warren Haynes of Gov’t Mule. Tulloch closed City Guitar in 1996, but not before establishing himself as the expert source on Danelectros. When Tulloch sells the 200th copy of the book, he’s going to raffle off one of his prized Danelectros â€” a silvertone amp-in-case model valued at $800. Today Tulloch still buys and sells guitars as well as doing repair work. He occasionally writes articles for magazines such as Vintage Guitar and Japanese Guitar. The majority of the articles are about Danelectros. Essential ingredients that determine the sonic characteristics and playing feel of the world’s most popular guitars. A look under the hood of the gear that shapes your sound. A guide to care, cleaning, set-up, repair and minor customisation of your guitar. Take a taste of the ten most popular guitar styles – to find new inspiration for your own playing, or an entirely new direction. A unique illustrated directory with all the inside info on the great electric guitars and the stories of their development for 130 leading brands. A detailed, comprehensive and fully illustrated guide to the language of guitar. 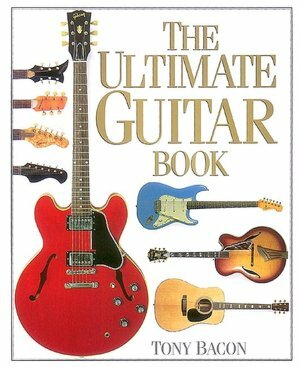 If you have an interest in guitars then there will be plenty in this book to entertain you. The maintenance section is particularly useful – with everything you need to start maintaining your own guitar rather than paying someone else to do it! I actually discovered that I had been stringing my guitar incorrectly for the last 10 years – I would tie up the slack straight onto the tuning head, which it describes as bad practice. That is just one example of many tips and tricks the section includes. It goes into real depth, covering many different types of guitar and setup. The Play Guitar section is excellent too, covering a wide variety of styles and including useful and concise information to get you started playing in a new style, or rounding off your existing abilities. The sound and construction, amps and effects and guitar manufacturers are for those who want to know more than just how to play. To me, all of the information there is very interesting and is well laid out and described – generally in chronological order. Having said that, not everyone is interested in the detail. If you’re not then this book should still be of use (and great value!) as the first two sections discussed above really make this book great value for money. The informative sections are a bonus for those interested. Whether a newbie or an experienced, knowledgeable, player I think there will be something in here for you. I would recommend this book to any guitar player as a great reference and really interesting read. My own copy of this book gets referred to on an almost daily basis, it’s well worth the low price!